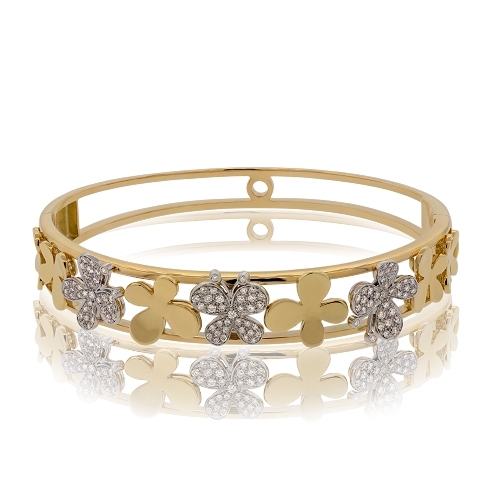 Delicate polished 18k yellow gold butterflies & diamond butterflies set in a pattern in this unique bangle. Diamonds approx. .65ct.